2017 has flown by in the blink of an eye. I still remember the first IWSG post of the year and now it’s the last. IWSG (Insecure Writers Support Group) is one of the best things to happen to writers all over the world. Why is it the best thing? 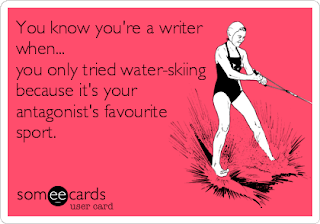 Because believe it or not, writers are very insecure creatures. We think other writers write way better than us, create wonderful settings, etch characters that leave our own characters way behind in the literary stakes. Inshort we writers lug around a truckload of anxieties, insecurities, doubts and fears. And if Ninja Captain Alex J Cavanaugh (author of the Amazon Bestsellers: CassaStar, CassaStorm, CassaFire and Dragon of the Stars) and founder of this awesome group did not give us this wonderful opportunity to let off our writing steam, we all would go mad under the onslaught of our worries. Adorable Ninja Captain concerned about our mental and emotional well-being quickly formed this group to take care of his tribe. IWSG has a wonderful website with a whole lot of writing related information. And under Captain Alex’s capable leadership writers roam around blogosphere with large smiles on their faces as they have given vent to their writing related frustrations via an IWSG post. December 6th IWSG question: As you look back on 2017, with all its successes/failures, if you could backtrack, what would you do differently? If I could do anything differently I would wipe out the few months of this year wherein I wasted time doing nothing. Yes, I suffered from a heavy bout of writing lethargy and indulged in procrastination with my stories. Due to those few months I’m way behind my writing and reading goals for 2017. But, I learnt a very important lesson, that I must manage my time wisely on a daily basis, else I’ll end up as a bundle of frustration and anxiety due to not having achieved my daily writing goals and weekly reading goals. I’m eager and curious to read all your posts. Labels: IWSG. Alex Cavanaugh. Writers. Goals. I met Mark Noce on my blog many years back, he left a comment saying that he would love to read my stories and that was it. We became critique partners and to be honest it has been sheer pleasure reading and critiquing Mark’s manuscripts and getting feedback from him on my own stories. When Mark signed with super agent Rena Rossner, I was thrilled for him. 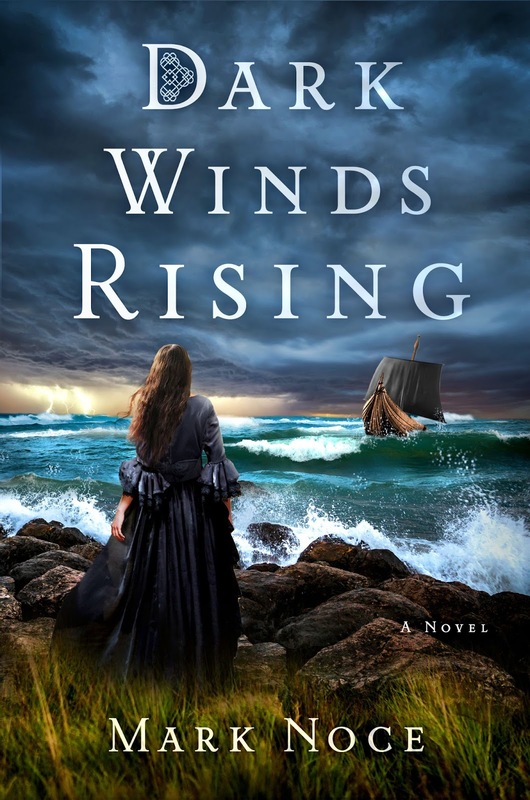 On December 5, Mark’s novel Dark Wind’s Rising, published by St. Martin's Press (sequel to Between Two Fires) hits the bookshelves. I’m excited and happy for him. I know he is pressed for time, but there was no way I would let his book launch go, without him paying my blog a visit. Q. Your novel is set in post Arthurian times, what kind of research did you do for Dark Winds Rising and its prequel Between Two Fires? Thanks for having me here, Rachna! My research consisted of culling through both historical documents as well as legends from the era. I found the legends particularly enlightening because the few historical documents that did survive were usually fragmented. Archeological data was also really helpful. Q. Your protagonist is Queen Branwen. How hard was it to write from a woman’s point of view? Honestly, I’m intrigued by writing from other perspectives because I believe that the common threads that make us all human shine through in any protagonist. Also, my wife is my secret weapon and she reviews all of my early drafts and provides invaluable feedback as I write. Q. One of my favourite characters in both your books is the hedge knight Artagan, tell us something about how you sketched this character? Yeah, for better or worse there’s actually a fair amount of me in his character. Maybe that’s why I like to write him. He’s definitely flawed, but hopefully has his heart in the right place. Q. How do you balance your writing with your day job? It’s not easy, especially with kids too. I commute via public transport and that time is really useful for me. I can get a lot written or read on my morning and evening commutes. The key is to keep it fun too. If the writing is fun, I always manage to make time for it. Q. What is your writing style? Plotter? Pantser? Detailed outline? I’m a total panster, at least on the first draft. That doesn’t mean I’m not plotting some elements in my mind and doing research while I adjust the narrative, but I really enjoy flying “blind” the first time I write a draft. Q. How long does it take you to finish a first draft? I typically prefer to write as fast as I can. While the inspiration strikes me. My first draft for a full length novel usually takes 3-4 months tops. I’ll do revisions after that of course and get feedback from great CPs, such as yourself! Q. How many drafts do you typically work on before you are ready to submit? I try not to count. But I’d say a surprisingly large part of the first draft shows through in the final product. The more eyes I can get on the text though, the better. Quality feedback is essential. Q. What is your revision process like? It’s a different mode, editing versus writing. When editing, I try not to do anything else, so that I really focus. In the first draft anything goes, but in subsequent ones I try to really question everything as I review it. Q. Did you ever think that Historical fiction novels would be a hard sell in terms of getting an agent? Not particularly. I read plenty of historical fiction, so there are definitely agents representing it. The funny thing is that what I call historical another person may call romance or literary or even fantasy. It’s all in the eye of the beholder. So long as the story is good, that’s what matters to me. Q. Could you tell us something about your journey to getting an agent? Sure. I attended writer’s conferences and met agents face-to-face. I also queried others via email and by post. I actually found my agent, Rena Rossner, online one day and emailed her. She read the first few chapters of Between Two Fires, and that was it. Of course every step of the journey takes time, i.e. convincing the agent’s agency to take you on, sending out manuscripts to publishing houses, etc. But once I got Rena’s first reply to my manuscript, I knew I was on to something. Q. The book/s you are currently reading? Everything! I try to read 3-4 books a week, as it’s more grist for my mill. I’ve been reading a lot of murder mysteries and historical fiction set in WWII. I’m also a big Lawrence Durrell fan and recommend him to anyone who wants to peruse a spectacularly well-written novel. Q. Any writing craft book that you swear by? Honestly, I don’t feel attached to any particular “writing craft” book. I do, however, firmly believe that fiction itself is the best teacher. No need to listen to me when you can go pick up Shakespeare or Homer or any other great author at any time and read their best work! It’s like they are alive and talking directly to you, showing you just what to do. Q. What are you currently working on? I’ve got two more manuscripts with my agent right now that she’s excited about. One is a Viking story about a young warrior woman and the other is a murder mystery set in London during the Blitz. I definitely can’t wait for a chance to get these stories out there. Here is wishing Mark super success with his book. Thanks Mark for taking out the time to answer a few questions. Labels: Mark Noce. Rena Rossner. St. Martin's Press. Dark Winds Rising. Between Two Fires. IWSG Post - Do you Finish your NaNo Projects? Unbelievable that this is the second last IWSG post of 2017. This year is flying past at a supersonic speed and before we know it, we will be sitting in the lap of 2018. IWSG is the best thing to happen to writers all over the world. This is an online group of writers who post in support of Insecure Writers Support Group on the first Wednesday of every month. And luckily for us we can discuss all our writing blues, our writing insecurities and worries. And IWSG members all over the world pitch in to encourage and support us or air their own fears and doubts. Ninja captain Alex J Cavanaugh (author of the Amazon Bestsellers: CassaStar, CassaStorm, CassaFire and Dragon of the Stars) is the founder of this awesome group. Under Alex, IWSG has grown by leaps and bounds, it has members from many countries in the world, it has a website, it brings out anthologies every year, and it also hosted a Twitter pitch party which was a huge success. The November 1 question is - Win or not, do you usually finish your NaNo project? Have any of them gone on to be published? Sadly for me I’ve never done NaNo. From the past few years I tell myself I’ll do NaNo, but one year our main festival Diwali was in November, another year I was travelling for 10 days, then another year I had several freelance projects and this year I’m trying to revise and polish my adult novel. I think NaNo and my fate has not aligned. Maybe I’ll finally be able to clear all my assignments and tackle a project for NaNo sometime in the future. I’m eager to see how many of you all have completed NaNo and how many NaNo novels have been published? Labels: IWSG. Alex Cavanaugh. NaNo. Writers. Elizabeth Varadan is not just one of my first online writing friends, she is also one of the first few to follow me when I started blogging in 2010. Our friendship started then and we kept in touch through emails and facebook. And luckily for us, we met when Elizabeth visited India with her husband. She is the only writing friend and blog buddy who I have met. It was wonderful to sit with her in the park and discuss books. Elizabeth is a woman of many talents, she writes across genres (picture books, middle grade and has also written a mystery) and she also teaches art. 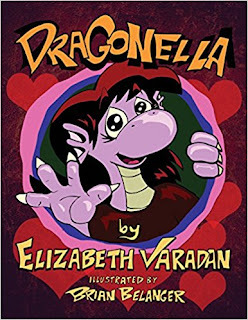 When I came to know that her latest book Dragonella – a picture book for ages 7 and under, has been published in paperback and e-book formats by Belanger Books, I was super happy to see that one more of her writing dreams has come true. 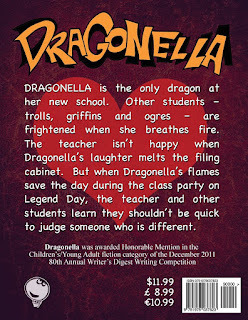 About the book: "Dragonella is the only dragon at her new school. Other students - trolls, griffins and ogres - are frightened when she breathes fire. The teacher isn't happy when Dragonella's laughter melts the filing cabinet. 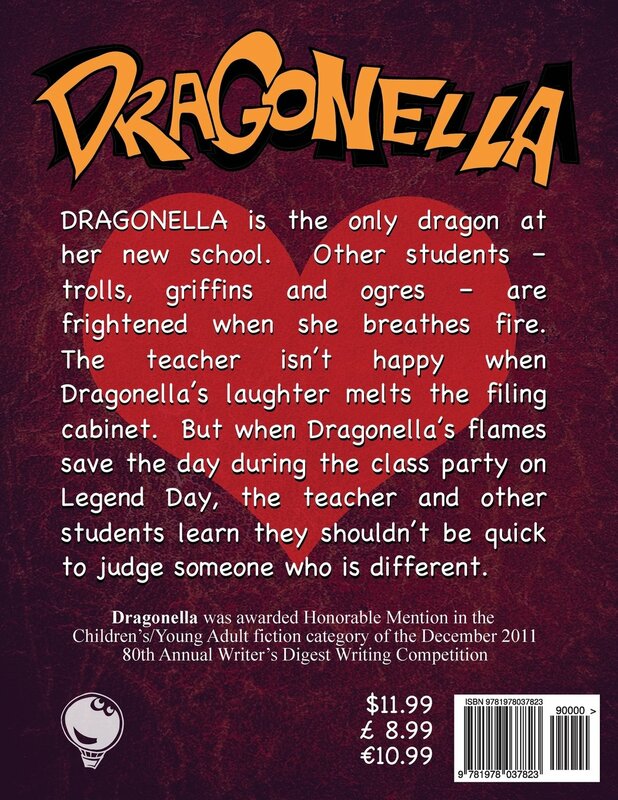 But when Dragonella's flames save the day during the class party on Legend Day, the teacher and other students learn they shouldn't be quick to judge someone who is different." Here is wishing Elizabeth lots of success for her new book. Labels: Elizabeth Varadan. Dragonella. Picture Book. Belanger Books. Two more IWSG posts before 2017 bids goodbye to us. 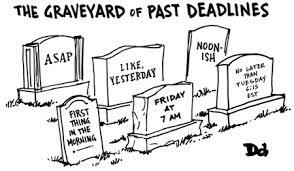 Its rightly said that time flies and incase of writers it flies past leaving behind a pile of deadlines that mock us all the time. 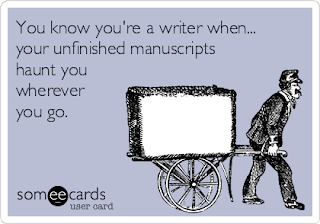 And we poor creatures console ourselves that we are trying to polish the manuscript that will have agents thronging our doorsteps despite the muse playing hide and seek with us (we wish). IWSG (Insecure Writers Support Group) is an online group of writers posting on the first Wednesday of every month. In our posts we grumble about our writing blues (atleast I do) discuss our writing insecurities and worries. Other writers join us either with their advice or like us they too air their writing laundry in public. This awesome group was started by Ninja captain Alex J Cavanaugh (author of the Amazon Bestsellers: CassaStar, CassaStorm, CassaFire and Dragon of the Stars). Alex is a man of many talents: author, musician and blogger, who has made it his mission in life to help as many people (read writers) as possible. Alex will definitely qualify for sainthood, I can already visualize him in his white robes with a halo and wings guarding writers in the distant future, perhaps I may also be standing behind him with smaller wings and a less brighter halo. Under Alex, IWSG has now become a force to reckon with. Check out the IWSG website to read all the amazing posts by wonderful writers. October 4 question - Have you ever slipped any of your personal information into your characters, either by accident or on purpose? Yes, several times. I’ve seen that my characters mirror my fears and values. My MG heroine cherishes loyalty a trait I value the most in any relationship and she is also headstrong just like me. Another MG character a 10-year-old boy is scared of dogs, I too am scared of dogs. I would run a mile if I see one near me. I’ll be hopping over to all your blogs to read your IWSG posts. Labels: IWSG. Alex Cavanaugh. Characters. Writers. IWSG Post Have you ever surprised yourself with your writing? It’s time for another IWSG (Insecure Writers Support Group) post. IWSG is an online group of writers which posts on the first Wednesday of every month. In our posts we discuss everything related to writing, grumble to our heart’s content, freely discuss our writing insecurities and worries. Other writers who were in the same boat as us, but have now managed to get out of it and are sitting on the publishing shore, help us out with their suggestions and advice. This wonderful group was started by Ninja captain Alex J Cavanaugh (author of the Amazon Bestsellers: CassaStar, CassaStorm, CassaFire and Dragon of the Stars). Under his able leadership IWSG has gone from strength to strength, it has published few anthologies. The IWSG website is full of writing information and now finds its place in Writer’s Digest 19 Annual 101 Best Websites for Writers and has also hosted its first twitter pitch contest on 27th July. That’s our Ninja Captain for you. The IWSG September 6th question is: Have you ever surprised yourself with your writing? For example by trying a new genre you didn’t think you would be comfortable in?? Yes. I’ve just written a romance novel for adults, after years of writing middle grade and I’m surprised by my own writing. 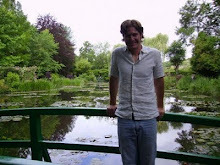 While doing my second draft I was quite impressed with my writing and myself and I enjoyed the new genre and age group. I’m eager to read all your posts and find out whether you all are impressed with your writing. P.S. I’m posting a day late because the Internet was down from the past few days due to heavy rains in my area. It has just resumed five minutes back. The other day I was thinking that unlike some of my friends I neither watch too much television or movies nor do I spend too much time gossiping on the phone. The reason is I would rather spend that much time on reading books. Many people tell me that nowadays the calls are so cheap, infact with the Internet packs we subscribe to, the calls are free, so why am I not calling them up? My reply more often than not is, “the calls are free but I am not.” My reply I’m sure must be rubbing people the wrong way. Most people don’t get it that a writer’s life is seldom easy. There are so many things we do that are a part of writing: researching the characters (both the protagonist and the antagonist) and their hobbies and traits, plotting, writing the multiple drafts, critiquing someone else work, revisions, researching agents and publishers, agonizing over the query letter and the dreaded synopsis, that our lives are far from easy or simple. Though we may not have a day job, but our writing is definitely more than a nine-to-five-job. Infact I would say it’s a twenty-four hour job, our characters are constantly running around in our minds and the erratic muse loves to play hide and seek, so whenever the muse appears the writer is busy writing to make the most of the inspiration. Where does all this leave me the time to waste my hours in gossiping or watching serials or movies? I would rather polish my craft by critiquing my critique partners’ books or learning from other writers by reading their books. What about you all? What kind of sacrifices you have made as a writer? Labels: Sacrifices. Writers. Researching. Hobbies. Books. IWSG Post What are your pet peeves when reading/writing/editing? I look forward to the first Wednesday of every month, as that’s the time we write our IWSG (Insecure Writers Support Group) posts. This online group of writers gives me/us the chance to discuss everything related to writing, which would bore a non-writer to tears. As most of the other writers are in the same boat as me: going through writer’s blocks, facing rejection from agents, harassment from our characters, seeing deadlines whoosh past, getting overwhelmed with edits or first drafts, grumbling about the slow response or lack of response from editors and agents, or low sales, it’s nice to discuss it with people who will nod in understanding, maybe even add their bit to it. Credit for creating this amazing group goes to Ninja Captain Alex J Cavanaugh (author of the Amazon Bestsellers: CassaStar, CassaStorm, CassaFire and Dragon of the Stars). IWSG has gone from strength to strength. It has published few anthologies, has a website full of amazing writing information and now finds its place in Writer’s Digest 19 Annual 101 Best Webites for Writers and has hosted its first twitter pitch contest on 27th July. Quite an amazing feat for a group that has been around just for a couple of years. 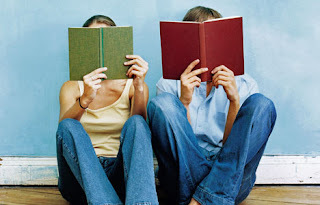 The August IWSG question is: What are your pet peeves when reading/writing/editing? While reading I hate it when a writer breaks the golden rule of show but don’t tell. I reviewed a book a few days back and the author indulged in a lot of telling throughout the book. Another pet peeve of mine is when a writer sticks to a stereotypical plot where I have guessed what will happen next. This bugs me no end. This too happened last week when I reviewed a book for the newspaper. And another peeve is when the authors repeats the same thing again and again. This happened in the book which I mentioned as having a stereotypical plot. I was just waiting to finish that boring book, write my review and be done with it. I am looking forward to reading what your pet peeves are while reading/writing/editing are. Labels: IWSG. Alex Cavanaugh. Writers. I know I’ve not been regular on blogosphere, neither am I posting nor am I commenting regularly, but life and its commitments are pressing in on me and making me go missing in action on blogland. I just hope my blog buddies missed my absence online because I missed you all. I’m also trying to get as many manuscripts as possible in shape for IWSG Pitch party on Twitter on 27th July. Here are the details of the IWSGPit and the list of genres and agents participating and the rules of the pitch contest. 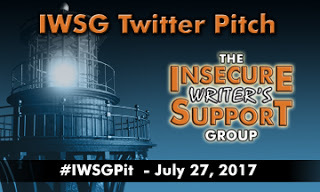 The Insecure Writer’s Support Group Twitter Pitch Party #IWSGPit on July 27, 2017 8:00 am to 8:00 pm Eastern Time. All writers and authors are invited to participate in our very first Twitter Pitch. Create a Twitter-length pitch for your completed and polished manuscript and leave room for genre, age, and the hashtag. On July 27, Tweet your pitch. If your pitch receives a favorite/heart from a publisher/agent check their submission guidelines and send your requested query. Writers may send out 1 Twitter pitch every 1 hour per manuscript. No images allowed in pitches. Pitches must include GENRE/AGE and the hashtag #IWSGPit. Please join us and spread the word! How many of you all are hoping to join the IWSG Twitter Pitch Party? Labels: IWSG Twitter Pitch Party. IWSG. Alex Cavanaugh. Agents. Publishers. I am really glad that I joined IWSG (Insecure Writers Support Group), an online writers group posting on the first Wednesday of every month. After joining IWSG and reading other writers’ posts I realized that I am not alone with so many writing related fears and anxieties swamping my mind. IWSG Writers who have been in my position have helped me out with their suggestions and advice. Founded by Ninja Captain Alex J Cavanaugh (author of the Amazon Bestsellers: CassaStar, CassaStorm, CassaFire and Dragon of the Stars) IWSG is going from strength to strength. It has published a couple of anthologies, has an amazing website and has now been featured in Writer’s Digest 19 Annual 101 Best Webites for Writers and it will have its first twitter pitch contest on 27th July. For today’s IWSG hop Ninja Captain Alex’s army consists of Tamara Narayan, Pat Hatt, Patricia Lynne, Juneta Key and Doreen McGettigan. The July IWSG question : What is one Valuable lesson you have learned since you started writing? Though I have learnt a lot of lessons ever since I started writing, the one valuable lesson I have learnt is to believe in my writing. As writers if we don’t believe in our work, no one else will. 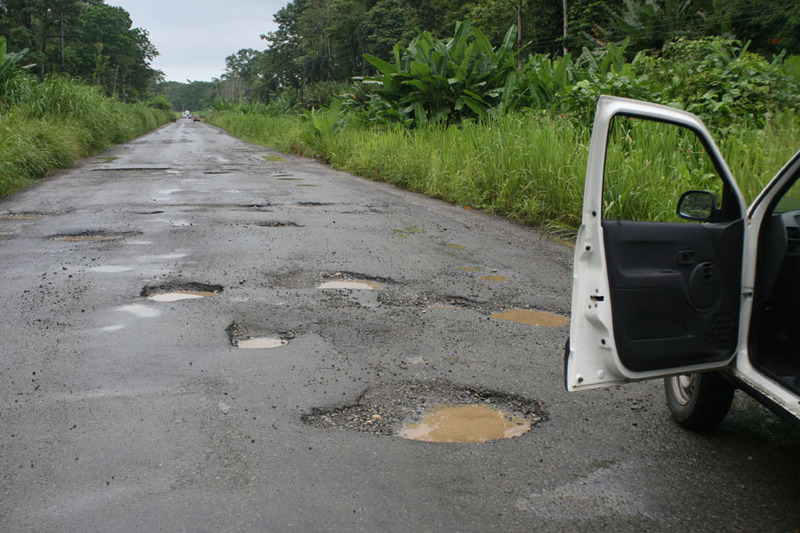 We have to constantly motivate ourselves and boost our morale, because the road to publishing is an uneven road paved with many obstacles, each of them will lower our self-confidence and push us closer to frustration and despair. Lots of things in the publishing world are not in our control, the only thing in our hands is our writing and for that we must keep writing, inspite of the rejections. We must trust the fact that God wanted us to write for a reason, and we can’t just give it up so easily. I’m looking forward to reading all the IWSG posts and seeing what was the most valuable lesson you all have learned ever since you started writing. Labels: IWSG. Alex Cavanaugh. Lesson. Writing. Publishing. From the past few months, life has been throwing a whole lot of obstacles my way, and these have stopped me from working on my manuscript. I have been doing so many freelance projects that I have no time to write my own stories. I just managed to work on the second draft of my love story and it took me ages to do that and I’m sure I didn’t do a great job. I have been so late for a book review that the editor of the newspaper had to send me a gentle reminder about it. But she was also very understanding when I told her that I wasn’t well. My books to be reviewed list is piling up. My critique partner Mark Noce has sent me his new novel for feedback. I have ignored my blog and blog buddies’ for days. I have no clue what’s happening in blogosphere. I feel that to cope with all my other writing and writing related activities, I need to put aside my own manuscript for a few days. That’s the only way I’ll get any work done. How are thing with you all? How are you managing your writing with other things? Every time IWSG rolls into view, I realize that a month has flown past at a dizzying speed. I’ve completed a few writing goals for May, but my word count is pretty dismal. Every week I make a few writing resolutions and at the end of the week, I shake my head at my snail’s place. IWSG aka Insecure Writers Support Group is a wonderful online group of writers who post on the first Wednesday of every month, which is our let off all the writing steam day (else we would all burst). We can grumble about our lack of attention, talk of our writing worries and fears, mourn our pathetic word counts, discuss our querying frustrations, or talk of any other writing related insecurity. Other writers who have been there and done that, help us out with their advice and suggestions. Check out the IWSG website for wonderful writing tips. You can read the other IWSG posts here. Many years down the line Ninja Captain Alex J Cavanaugh (author of the Amazon Bestsellers: CassaStar, CassaStorm, CassaFire and Dragon of the Stars) and founder/creator of IWSG will go down in writing history for starting this awesome group. When great scientists and inventors will be mentioned, Alex’s contribution to writers’ sanity will be remembered. June question – Did you ever say “I quit?” If so what happened to make you come back to writing? Even if I am not actually working on my books, I’m always writing something or the other. Its then I realize that God wants me to keep writing, that he is indirectly motivating me to keep striving, to have patience and enthusiasm and not give up. My “I quit” lasts just for a few hours as after that God’s plans for me takes over. I am super eager to read how you all have tackled the fatal disease of “I quit,” and how you all motivate yourselves to keep writing. Labels: IWSG. Alex Cavanaugh. I Quit. Writers. Motivation. I’ve mentioned many times that I review books for two newspapers. With so much responsibility comes a big headache. It’s not possible for me to like every book I read and review and my editor has specifically asked me to be very honest in my reviews and point out the flaws in the books. Just two days back I finished reviewing a book for the newspaper, to be honest my review wasn’t a favourable one. Actually while reading the first few pages I realized that I didn’t like the way the writer had treated the historical character. Infact, she had made him look like a buffoon. I was absolutely shocked that the book had been published by a big publisher. I mean it made a mockery of an entire section of history, so as to come across as cool and funny, and it had such a flippant tone that I was tearing out my hair in frustration. Sometimes I wonder how do the commissioning editors overlook all this. I mean when they have so much power vested in them, shouldn’t they be extra careful about the kind of books they publish? Shouldn’t they be concerned with the kind of writing that comes out of their publishing house. Here I’m not saying that the book was badly written with poor grammar and sentence structure. Far from it. I admit that the author had done a lot of research and familiarized us with things we had no knowledge of, but she could have done so without lampooning so many things in history. Though my review has not belittled the author or her writing skills, I’ve mentioned what I didn’t like about the book (there were many things) and I have clearly mentioned all of them. I feel when the review is published in a few days, I will be ruffling quite a few feathers. But there was no way I could lie and give the book a good rating or praise it when it didn’t deserve it. Do you think I did the right thing? Should I have overlooked what I didn’t like and not mentioned it in my review? What would you have done in my place? Labels: Book Review. Authors. Publishing House. Editors. Newspapers. From the past few days I've been so immersed in family health issue that I had no time to come online, or post on my blog or even visit any blogs. Last week on 2nd May Victoria Grace Howell of the blog Wonderer’s Pen posted my interview about my country and my writing. 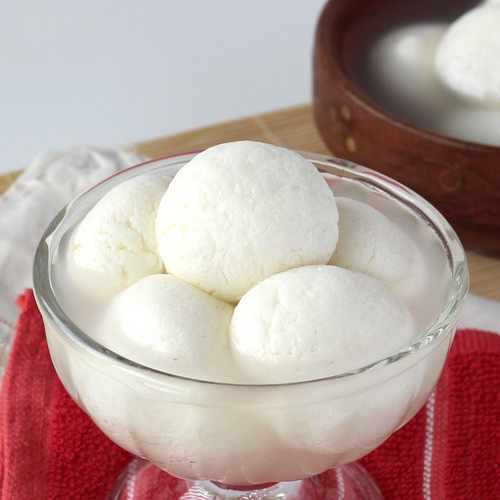 You can read all about my favourite food, the places to see in Bangalore, the books and movies that represent my country best and our festivals and customs. Hop over there for a small virtual tour of India. Labels: India. Rachna Chhabria. Interview. Bangalore. Victoria Grace Howell. Wonderer's Pen. It’s time for another IWSG post. The months seem to be hurtling past with my deadlines waving sarcastic goodbyes to me, my writing goals are just not getting accomplished and let’s not even talk of my reading goals and I won’t even mention my fitness goals. See how well I started my Insecure Writer’s Support Group Post (IWSG) by grumbling, grumbling and grumbling some more. The purpose of IWSG is to allow the members to talk of their writing worries, anxieties, doubts, fears and grouses. On the first Wednesday of the month we post about whatever is bugging us where our writing is concerned. The IWSG has a fabulous website. This wonderful group was started by Ninja Captain Alex J Cavanaugh (author of the Amazon Bestsellers: CassaStar, CassaStorm, CassaFire and Dragon of the Stars). This online group works as a major stress buster for us writers, helping us let go of all our writing angst. The May IWSG question: What is the weirdest/coolest thing you had to research for your story? For my last book, I researched about dogs, and anyone who knows me well, knows about my fear of dogs (I can run faster than any Olympic athlete when I see a canine.) I spent one whole day on Youtube watching videos on dogs: how they walk, bark, run, chase and fight, wag their tails and believe it or not how they kiss. My mom who happened to enter my room at that time was shocked. I’m sure she thought I was going mad. Two days back I completed a commissioned story for The Young World supplement of The Hindu Newspaper where I wrote a story on the Olive Ridley Turtle. I spent some time watching videos on how turtles come to the shore to lay eggs. As writers we research a lot and trust me if someone were to see our search history on our laptops they would be shocked and spooked (perhaps they will stop keeping in touch with us). I’m eager to read what is the coolest/weirdest thing you all ever had to research for your story? Labels: IWSG. Alex Cavanaugh. Research. Writers. I had set a strict deadline to finish a book, so that I could revise and edit it in time to participate in a twitter pitch party. The deadline came and went, waving a mocking goodbye to me, and I realized that I was not even halfway through the project, though I managed to write a few pitches for it. I postponed the deadline by two months. As this particular deadline is looming large, I realize that I still have a long, long way to go. If I do a rushed up job, I know I’ll be doing injustice to the project, as well as to myself. This has made me push the deadline by a few more weeks. 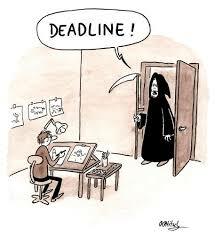 I am not sure that I’ll meet that deadline too. I feel bad that I won’t be able to complete my book for that particular pitch party. I’ll have to wait a few more months for it to come again. By then I’m sure the book will be more than ready. I’m very angry with myself for this slow writing. But summer always has that effect on me. It makes me sluggish and grumpy and very lazy. But luckily for me I have another book that I may be able to polish for that particular pitch contest. This idea has cheered me up quite a bit. Fingers crossed so that I am able to achieve this particular goal. 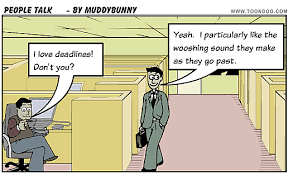 How are you all at handling deadlines? Are you able to meet them? Or like me do you keep postponing them? Labels: Writes.Deadlines. Twitter Pitch Contests. We are already in the 4th month of 2017. This year too like its predecessors is flying past at an alarming speed, leaving many of us writers stranded with our writing goals. A couple of my deadlines have whooshed past me, mocking my laziness. It’s the first Wednesday of the month, time for our monthly IWSG post. 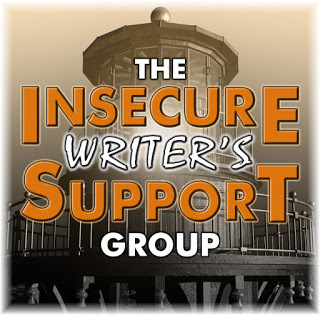 IWSG (Insecure Writers Support Group) is the place we writers hang around online, sharing our writing insecurities, anxieties, worries, clearing our doubts and learning from each other. As all the writers are at different stages of their publishing journey, there is a wealth of information on the IWSG website. we post on the first Wednesday of every month. To read the other IWSG posts, click here. We all must thank Ninja Captain Alex J Cavanaugh (author of the Amazon Bestsellers: CassaStar, CassaStorm, CassaFire and Dragon of the Stars) for starting this wonderful group, which works as a major stress buster for us writers. 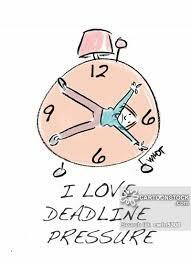 This month I have given myself a strict deadline of finishing a manuscript I had started sometime back. For that I have to write fast and I am actually pansting quite a bit of the story. I haven’t done any heavy duty plotting and have only a rough idea of what the ending will be like and what the major turning points will be. This panster way of writing is giving me anxiety attacks, as I like to have a plot outline in mind before I start telling the story. Though between plot points I give myself the freedom to move any which way, but whichever direction I take, I know where I have to reach because the next major plot point is waiting for me. I am wondering how other writers are such amazing pansters. How do they write without any outline? Can anyone give me any tips? I am eager to read all your IWSG posts and see what writing worries are bugging you this month. April 5 Question: Have you taken advantage of the annual A to Z Challenge in terms of marketing, networking, publicity for your book? What were the results? I have not used the A to Z Challenge to market my book or for the publicity of my book. I have done the Challenge just once and my book didn’t get published in the year I participated in the A to Z Challenge. But it sounds like a good idea for book promotion! Labels: Alex Cavanaugh. IWSG. Writers. Pansters. Plotters. I post on the first Wednesday of every month in support of IWSG. All writing on this blog copyright Rachna Chhabria. Feel free to quote, but please provide link and proper attribution. Thank you. Welcome to my Scriptorium, my online Writing Room. I love to connect with other writers, so grab a chair, a cup of coffee, a bar of chocolate and we will discuss stories, books, writing, works in progress, characters, plots, marketing, titles and many other things related to writing and publishing. Click on the Images to check the books on Flipkart.